Why Can a Parent Relocate Away From a Child Without Court Permission? Under Florida law, a divorcing or divorced parent cannot relocate with a child without court permission if the other parent opposes the relocation. 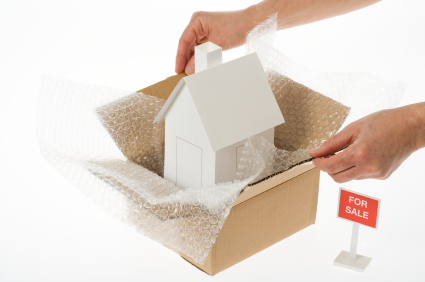 The guiding principle in a contested relocation case is the best interests of the child. This requirement for court permission reflects a general assumption that moving a child to a new community because the parent wants to move may or may not be the best thing for a child. Yet, if a parent wants to relocate without the child, no court permission or approval is required. The parent is free to relocate any time and as many times as desired — as if the parent’s relocation has no impact whatsoever on the child who remains in the home community. This ignores the reality of a parent’s relocation on the child left behind. So why do you have to have court permission to move with a child, but not without? If the relocating parent has been closely involved in the child’s life prior to the move, will it not be very disruptive, possibly even emotionally damaging to the child to lose that close involvement when mom or dad moves to Miami or San Francisco? If the relocating parent moves within reasonable driving distance, suddenly the child’s time-sharing involves a long drive to time-share with mom or dad and a long drive back to the other parent. No more school lunch visits by the relocating parent, no more weeknight time-sharing. The child’s friends are no longer close by during time-sharing with the relocated parent. The child, at least initially, may know no one in the new community except their relocated parent. If the parent relocates a long distance from the home community, now the child is probably subjected to full summers and most holidays with the relocating parent, again having to leave behind his or her friends to stay in a strange community with the relocating parent for extended periods of time. If the child is young, the extended separation from the other parent may be difficult for the child. If the child is a teenager, he or she will likely want to spend the majority of vacation time with friends in the home community, but time-sharing schedules will dictate otherwise. If Florida law is really concerned with the best interest of the child when parental relocation is at issue, perhaps court permission to relocate without the child should be required just as court permission to relocate with the child is required. Court involvement in parental relocation should not turn only on whether the child is being relocated. The best interests of the child may or may not be served by a parent relocating from the home community of the child.